Crowd-pleaser of a recipe today! 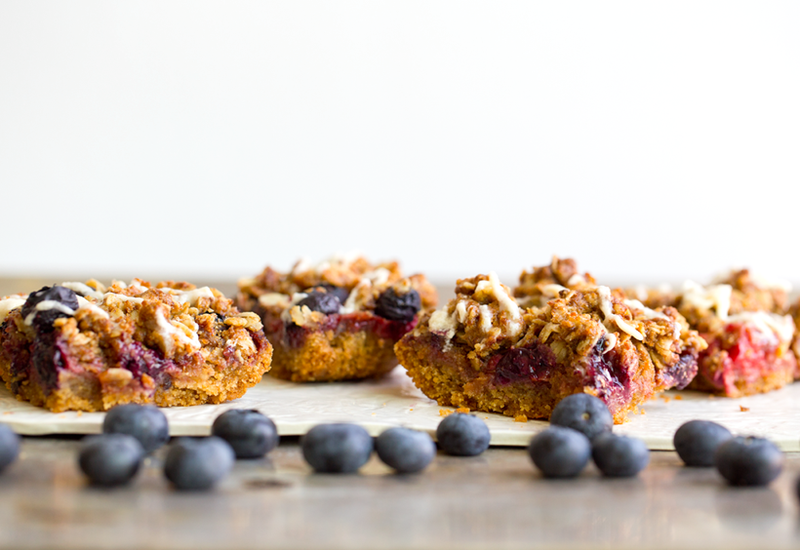 Summery fresh berry bars that taste like pie, but are totally portable. No fork needed. Flag Bars. One thing I have never been good at as a blogger: preparing properly for holidays! (I'm the monkey-covering his eyes emoji right now.) I made these bars last week, super excited to have them up for the 4th of July. 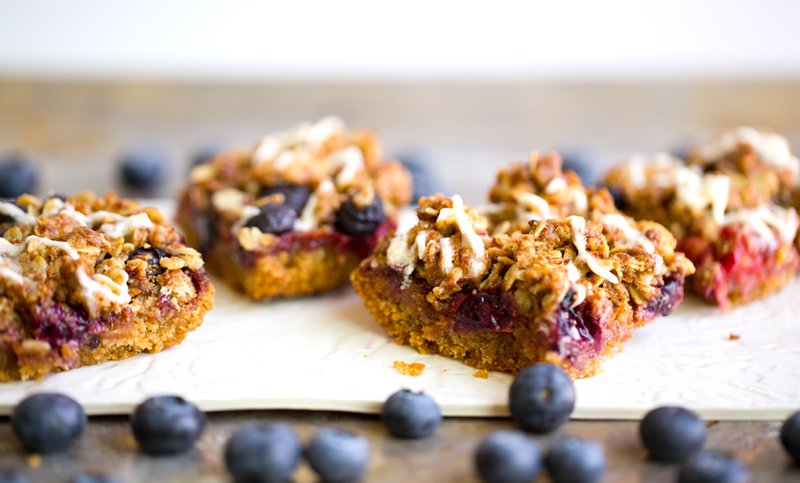 Red, White and Blueberry Bars, right? "Yay, I'm totally prepared this time!" But life got in the way and I sidetracked a bit with other posts, and missed out. But thinking positively here, I am super ahead of schedule for 4th of July 2018. Win! 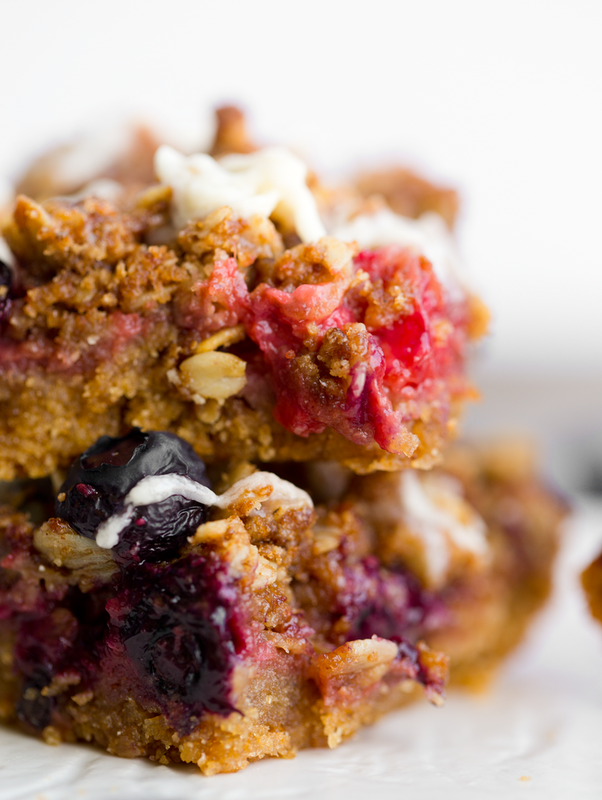 These bars are a delicious, summery, picnic-approved dessert/snack recipe. 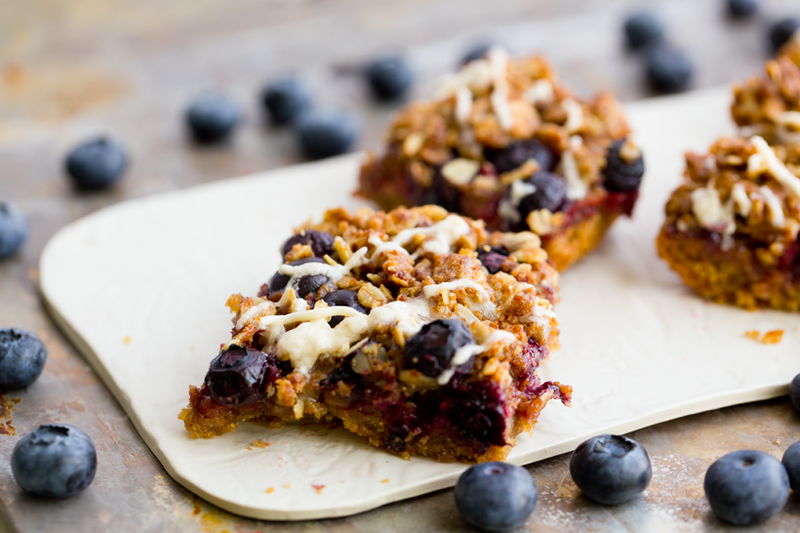 These Raspberry Blueberry Crumble Bars contain fresh blueberries, a zingy-sweet fresh raspberry puree and buttery, cinnamon-y oat crumble on top. Oh, and if you want to add the white frosting ripple (optional) you can do that too for the white-stripes flag effect. But the bars are super tasty even without the ripple. 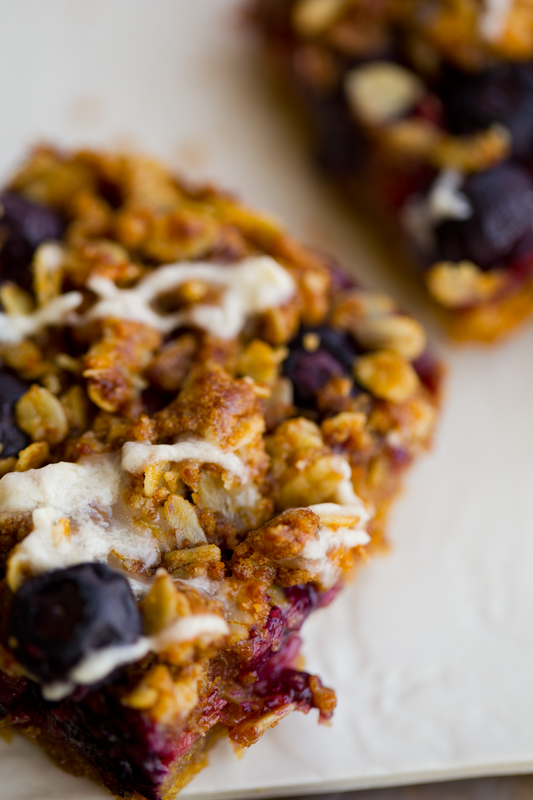 Summertime berry bars are perfect for some summer weekend baking, happy Friday and enjoy!.. 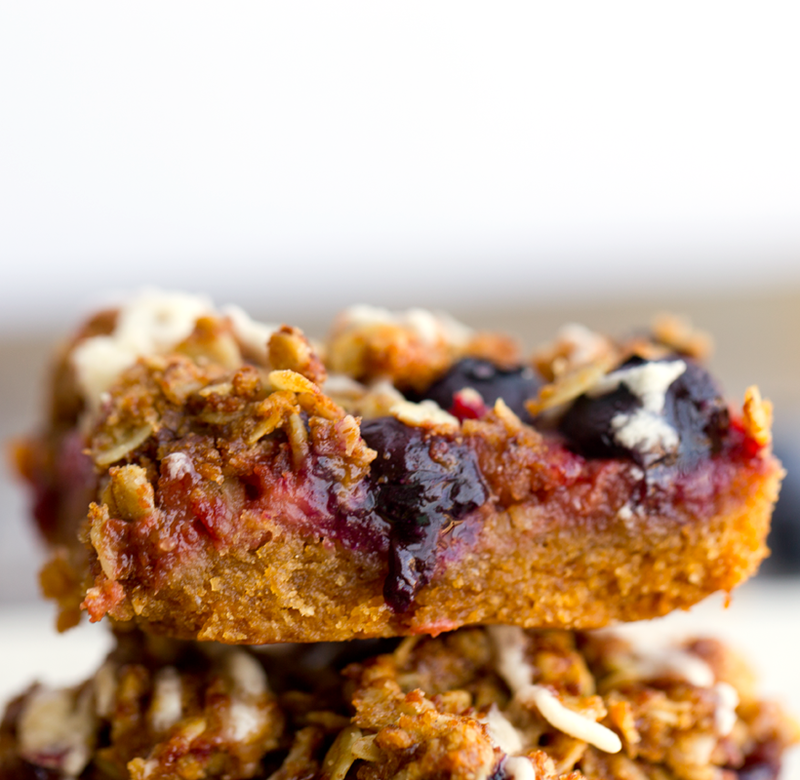 Besides being tasty - these bars were easier to make than I thought they would be! 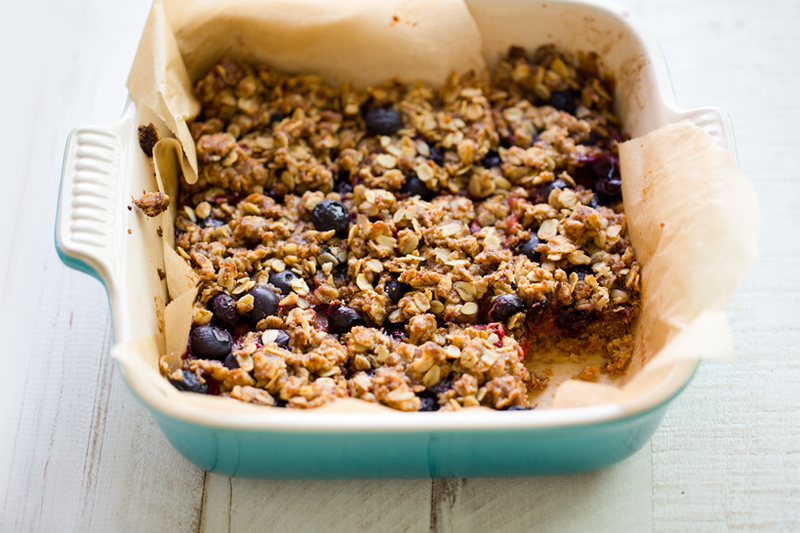 Fresh berries, an easy bar base and a crumble on top. Layers and layers of yum. So how did I spent my 4th of July? Well, we debated taking a quick trip, but instead we spent a long weekend at home. We played tennis, went to the (very crowded) beach and spent at least one day feeling blissfully lazy, waffles for a homemade brunch and nothing on the day's "to-do" list. It kinda felt like meditation to just give ourselves a few days of a clear schedule. Oh we also watched a few things, as one does on long weekends..
* We are still making our way through The Office for our laughter therapy. Love it!! * BabyDriver. We skipped fireworks and went to the movies. I loved this movie! * The Mars Generation. Watched this on Netflix. Loved it. I love anything about space, so this story about the next generation of the space program was really fascinating. I just hope I'm around when we land on Mars! And I am really excited for the next week because I get to do a work-thing that I have always wanted to do. I will probably be sharing it on my Instagram Stories early next week, so stay tuned. Also! I am really excited to try a new feature for you guys: Meal Plan Sundays. This Sunday I will post a week-long round-up of meal-spiration. If you guys like it, I will make it a regular feature. But for now, happy bar-ing! 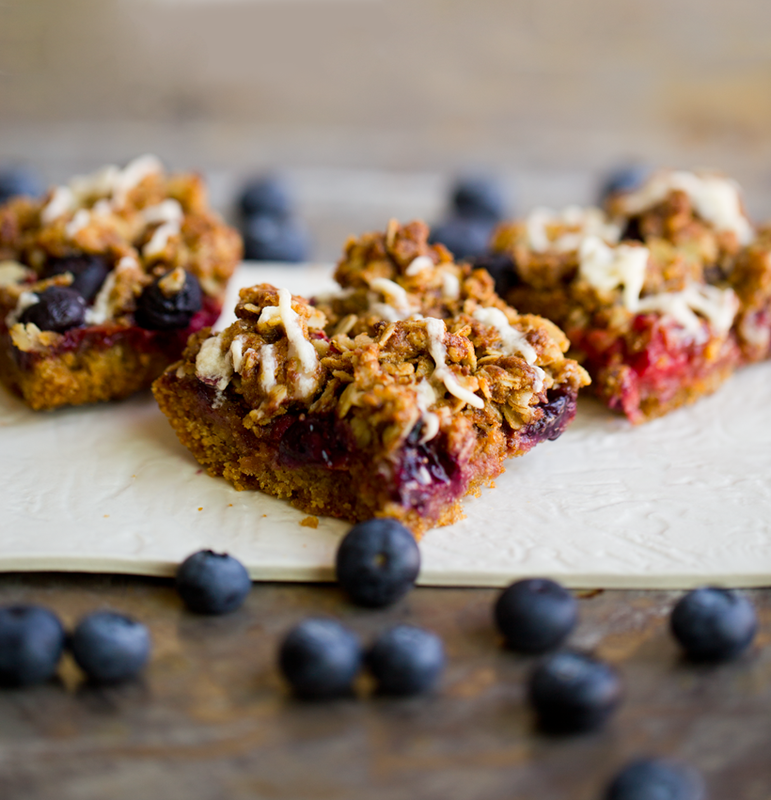 These fresh summer berry bars taste like pie with a crumble on top! 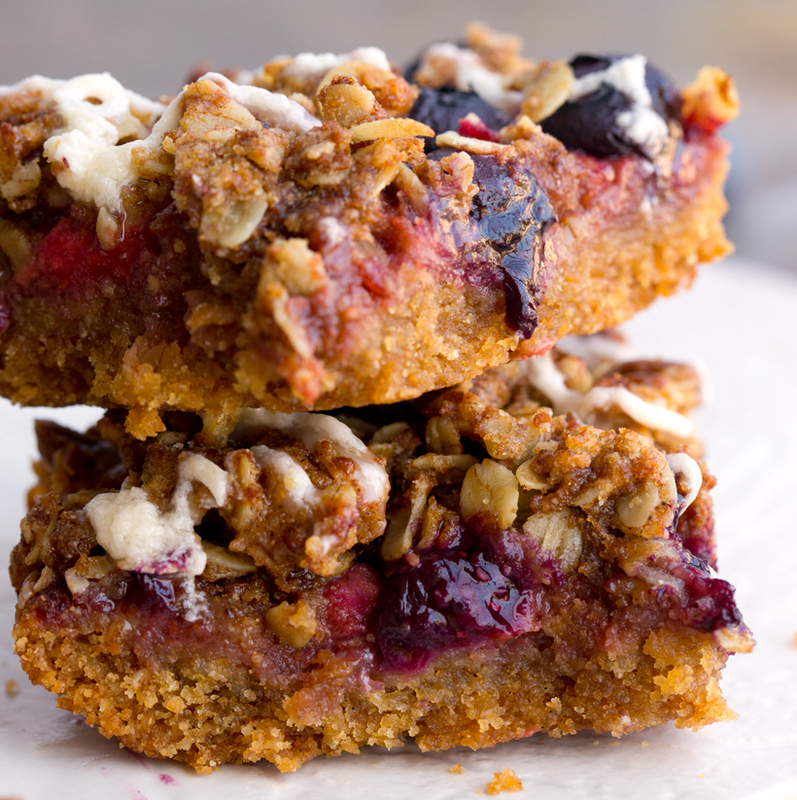 Raspberries, blueberries and a buttery oat crumble, over top a fluffy shortbread bar base. Note: If you need to use frozen berries, you may, but the flavor will be a bit less perky and bright and whole fruity textures as plump. Preheat oven to 350 degrees. Line a 8-9 inch baking dish with parchment paper. In a large mixing bowl, add all the base layer ingredients and stir well by hand or with a mixer. Pour the mixture into the lined dish. Smooth out over the bottom. While the base is baking, add all the crumble ingredients to the same large mixing bowl. Toss until crumbly and moist. Set aside. Bake at 400 degrees for 22-25 minutes. Cool at least 20 minutes in the dish before slicing and serving. If adding the white glaze, wait until the bars are mostly cooled, whisk together the frosting with a whisk and drizzle over top the bars. Store leftovers, covered, in the fridge. 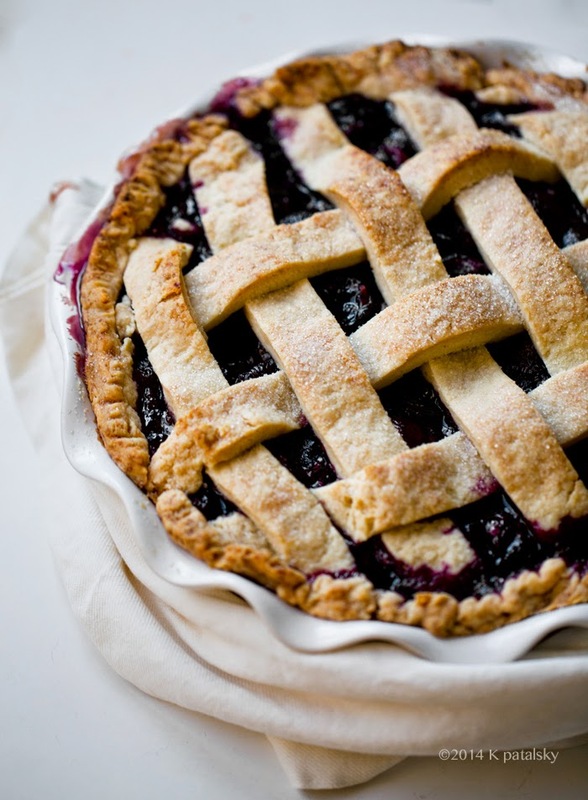 And if you are like, hm, I just want pie this time... How about some Cherry Pie in July?